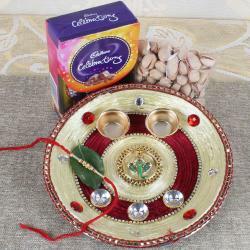 Product Consist: Designer Leaf Shape Thali, Kaju Katli (Weight: 100 gms) along with Rudraksha Rakhi. Raksha Bandhan is an important Indian festival, and it celebrates the lovely bond shared between a sister and a brother. 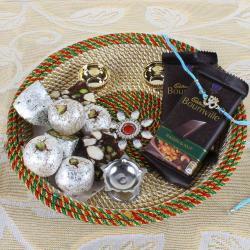 Marvellous Rakhi Gifting Combo is the best family combo for this Raksha Bandhan. Through this rakhi gift you can successfully carry on with the essence of the festival, the festival ritually celebrating the pure love and duty between brothers and their sisters. 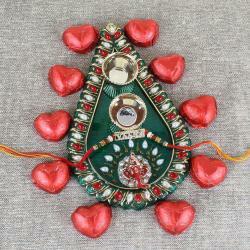 You can present this gift to your loved one which is a beautifully designed leaf shape thali along with Kaju Kati. 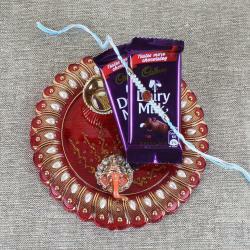 Rakhi, the thread, is the essence of this eve so you also get a Rudraksha Rakhi with this gift combo. Therefore, express your love and affection for your brother decently on this eve of Raksha Bandhan. 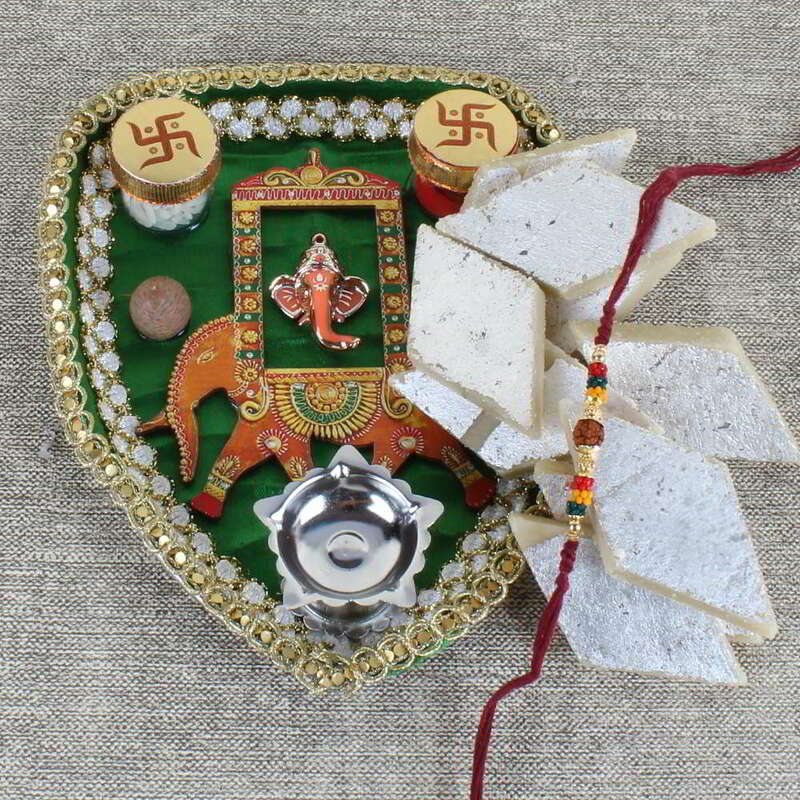 Product Consist: Designer Leaf Shape Thali, Kaju Katli (Weight: 100 gms) along with Rudraksha Rakhi.